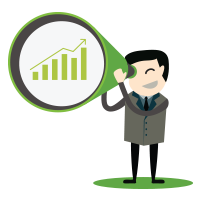 Want to maximize your marketing ROI? Then it’s time to get strategic with your nurturing efforts. 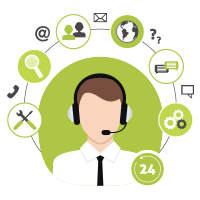 Whether you use Marketo, Eloqua, or any other marketing automation system, nurturing is all about making your automated programs do the heavy lifting while your sales and marketing teams reap the rewards. So how do you move from sending out single emails to planning and architecting multi-track, multi-touch nurtures? Before you build another “batch and blast” program, stop and take some time to create a nurture plan. With the right strategy, your automated nurtures will work in the background to engage your prospects and harvest leads—freeing you up to focus on optimization and revenue growth. Want to get started? Here are five lead nurture best practices to remember as you plan your nurture programs. 1. Create a crystal-clear plan of action. Your first step should be to identify the action you ultimately want your audience to take. Is it a demo request? A download? Start with your definition of success, and whiteboard your content backwards. Which assets will help to start a conversation, move people forward, and ultimately drive them towards your definition of success? Instead of duct-taping emails together and hoping they make your prospects care about your company, create a crescendo of content. Motivate your audience to do what you want, when you want it done, by building excitement. This doesn’t mean adding in exclamation points. Instead, construct your nurture in a logical progression that builds a case for conversion. During the planning stage, it’s also important to remember that you should set up your nurture to constantly draw in new people, so consider your on- and off-ramps carefully. Don’t let your nurture just be a one-time send to a static list. The best way to make prospects open and click through your nurture content is to create real value. Forget about preaching your corporate elevator pitch. Put down your product spec docs. Use content that solves problems or documents how industry leaders are innovating and succeeding, and present it in a short and sweet manner. Use bullet points and simple language. Remove your corporate agenda and think about creating value with your content. Thought leadership makes people want to align with your brand. Aim for the 80/20 rule, where 80 percent of your content is informative content that has no obvious agenda, and only 20 percent specifically promotes your products. When your content is evocative and inspiring, people will want to learn more about what you have to offer. 3. Follow the you/me rule. Write less about your company and more about your prospects. Digital marketing is like dating. Talking about yourself too much and bragging about your product offerings too early in the sales cycle are big turnoffs. In your email content, instead of stating your company’s name and products over and over, speak directly to the prospect by using the words “you” and “your” twice as often as you use your company’s name or the words “we” or “me.” This technique helps you to put the prospect at the center of your nurture strategy. 4. Make your marketing automation feel human. Be conversational. Even though you are using a platform that lets you talk to thousands of people at once, don’t make the message sound like a mass email. Use personalization in the header and footer, as long as you have quality data to support it. Send your emails from a person, not a department or company. It’s okay to write like a human being. Ask questions. Offer up insights on what your best clients are doing to stay successful. Start a dialogue with your prospects and ask for feedback. Don’t use noreply@yourcompany.com as your “reply to” email address. 5. Great content gets great results. Take the time to sit down and define your audience. For best results, you need defined personas. Then, you need to actually reach out to real people to validate your assumptions about what’s on their mind. Align with sales and plan some discovery calls with clients and prospects. Then, when you know your audience, take a good hard look at your existing content. What assets convert best with prospects in the stage of the demand funnel where you want to nurture? What areas of interest did your discovery calls reveal? Map your existing content to the appropriate stages of the nurture, and identify gaps in your content library. How will you keep your nurture content fresh and relevant as you put new people into the nurture over time? Good content is king, and if you want a successful nurture, you need to take the time to plan accordingly. When you devote the proper amount of planning and resources to nurture development, your efforts will be rewarded with powerful, revenue-generating results. 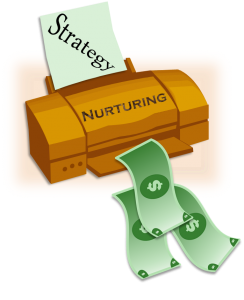 According to Forrester Research, companies that excel at lead nurturing generate 50 percent more sales-ready leads at a 33 percent lower cost per lead, so be sure to devote the proper amount of planning, time, and resources required to develop a strong nurture strategy for your organization. Lauren McCormack is a DemandGen Account Director and Marketo Certified Expert specializing in data-driven digital marketing, demand generation, content marketing, team leadership, and marketing strategy.